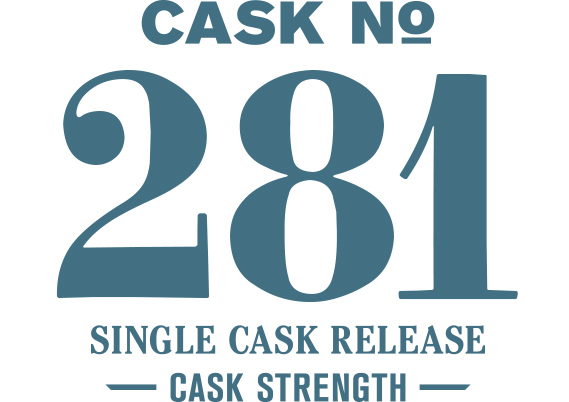 Cask #281 marks Westland’s first release of American Single Malt Whiskey finished in ex-sherry casks. After an initial maturation in charred new American oak, this whiskey spent its final two years in a 200-liter Oloroso barrel sourced from Montilla, Spain. It not only represents the first expression of sherry-finished whiskey from the distillery, but also demonstrates how Westland’s house style has evolved to make room for a broader range of wood types in the maturation process. With further releases of sherry-finished whiskey already in development, this first single cask offers a preview of what will become an important member of the family of Westland American Single Malt Whiskies. On first approach, the nose of this whiskey displays wine-soaked raisins and muscovado sugar sprinkled over fresh figs, with sweet oak serving as a backdrop. On the palate, the mouthfeel is like biting into fresh fruit. That juiciness is followed by a rich combination of graham cracker and chocolate. With the first water addition, the nose is awash in Olorosso sherry, but quickly the sweet oak recovers its influence. The tug of war continues between the oak and the sherry even as the whiskey settles. On the nose the cask-derived flavors insist on asserting themselves while the palate remains thick with raisins, blueberry syrup and a dark malty background.